The Redwood National and State Parks (RNSP) are a complex of several state and national parks located in the United States, along the coast of northern California. Comprising Redwood National Park (established 1968) and California's Del Norte Coast, Jedediah Smith, and Prairie Creek Redwoods State Parks (dating from the 1920s), the combined RNSP contain 139,000 acres (560 km2), and feature old-growth temperate rainforests. Located entirely within Del Norte and Humboldt Counties, the four parks, together, protect 45% of all remaining coast redwood (Sequoia sempervirens) old-growth forests, totaling at least 38,982 acres (157.75 km2). These trees are the tallest and one of the most massive tree species on Earth. In addition to the redwood forests, the parks preserve other indigenous flora, fauna, grassland prairie, cultural resources, portions of rivers and other streams, and 37 miles (60 km) of pristine coastline. In 1850, old-growth redwood forest covered more than 2,000,000 acres (8,100 km2) of the California coast. The northern portion of that area, originally inhabited by Native Americans, attracted many lumbermen and others turned gold miners when a minor gold rush brought them to the region. Failing in efforts to strike it rich in gold, these men turned toward harvesting the giant trees for booming development in San Francisco and other places on the West Coast. After many decades of unrestricted clear-cut logging, serious efforts toward conservation began. By the 1920s the work of the Save the Redwoods League, founded in 1918 to preserve remaining old-growth redwoods, resulted in the establishment of Prairie Creek, Del Norte Coast, and Jedediah Smith Redwoods State Parks among others. Redwood National Park was created in 1968, by which time nearly 90% of the original redwood trees had been logged. The National Park Service (NPS) and the California Department of Parks and Recreation (CDPR) administratively combined Redwood National Park with the three abutting Redwood State Parks in 1994 for the purpose of cooperative forest management and stabilization of forests and watersheds as a single unit. The ecosystem of the RNSP preserves a number of threatened animal species such as the tidewater goby, Chinook salmon, northern spotted owl, and Steller's sea lion. In recognition of the rare ecosystem and cultural history found in the parks, the United Nations designated them a World Heritage Site on September 5, 1980 and part of the California Coast Ranges International Biosphere Reserve on June 30, 1983. Modern day native groups such as the Yurok, Tolowa, Karok, Chilula, and Wiyot all have historical ties to the region, and some Native American groups still live in the park area today. Archaeological study shows they arrived in the area as far back as 3,000 years ago. An 1852 census determined that the Yurok were the most numerous, with 55 villages and an estimated population of 2,500. They used the abundant redwood, which with its linear grain was easily split into planks, as a building material for boats, houses, and small villages. 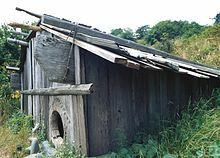 For buildings, the planks would be erected side by side in a narrow trench, with the upper portions bound with leather strapping and held by notches cut into the supporting roof beams. Redwood boards were used to form a shallow sloping roof. Previous to Jedediah Smith in 1828, no other explorer of European descent is known to have thoroughly investigated the inland region away from the immediate coast. The discovery of gold along the Trinity River in 1850 led to a minor secondary rush in California. This brought miners into the area and many stayed on at the coast after failing to strike it rich. This quickly led to conflicts wherein native peoples were placed under great strain, if not forcibly removed or massacred. By 1895, only one third of the Yurok in one group of villages remained; by 1919, virtually all members of the Chilula tribe had either died or been assimilated into other tribes. The miners logged redwoods for building; when this minor gold rush ended, some of them turned again to logging, cutting down the giant redwood trees. Initially, over 2,000,000 acres (8,100 km2) of the California and southwestern coast of Oregon were old-growth redwood forest, but by 1910, extensive logging led conservationists and concerned citizens to begin seeking ways to preserve the remaining trees, which they saw being logged at an alarming rate. In 1911, U.S. Representative John E. Raker, of California, became the first politician to introduce legislation for the creation of a redwood national park. However, no further action was taken by Congress at that time. The coast redwood is the tallest tree species on Earth. Preservation of the redwood stands in California is considered one of the most substantial conservation contributions of the Boone and Crockett Club. The Save the Redwoods League was founded in 1918 by Boone and Crockett Club members Madison Grant, John C. Merriam, Henry Fairfield Osborn, and future member, Frederick Russell Burnham. The initial purchases of land were made by club member Stephen Mather and William Kent. In 1921, Boone and Crockett Club member John C. Phillips donated $32,000 to purchase land and create the Raynal Bolling Memorial Grove in the Humboldt Redwoods State Park. This was timely as U.S. Route 101, which would soon provide nearly unfettered access to the trees, was under construction. Using matching funds provided initially by the County of Humboldt and later by the State of California, the Save the Redwoods League] managed to protect areas of concentrated or multiple redwood groves and a few entire forests in the 1920s. 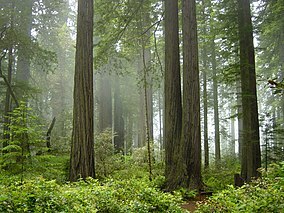 As California created a state park system, beginning in 1927, three of the preserved redwood areas became Prairie Creek Redwoods, Del Norte Coast Redwoods, and Jedediah Smith Redwoods State Parks. A fourth became Humboldt Redwoods State Park, by far the largest of the individual Redwood State Parks, but not in the Redwood National and State Park system. Because of the high demand for lumber during World War II and the construction boom that followed in the 1950s, the creation of a national park was delayed. Efforts by the Save the Redwoods League, the Sierra Club, and the National Geographic Society to create a national park began in the early 1960s. After intense lobbying of Congress, the bill creating Redwood National Park was signed by President Lyndon Johnson on October 2, 1968. The Save the Redwoods League and other entities purchased over 100,000 acres (400 km2), which were added to existing state parks. Amidst both local support of environmentalists and opposition from local loggers and logging companies, 48,000 acres (190 km2) were added to Redwood National Park in a major expansion in 1978. However, only a fifth of that land was old-growth forest, the rest having been logged. This expansion protected the watershed along Redwood Creek from being adversely affected by logging operations outside the park. The federal and state parks were administratively combined in 1994. The park has served as a filming location for numerous films. Scenes set on the forest moon Endor in Star Wars Episode VI: Return of the Jedi were filmed in the Tall Trees Redwood Grove in the northern part of Humboldt County, though the majority of filming was in private and public forests near the town of Smith River, California. Scenes for The Lost World: Jurassic Park as well as the movie Outbreak were filmed at the nearby Prairie Creek Redwoods State Park and at Patrick's Point State Park. Map illustrates Redwood National and State Parks features and boundaries. Redwood National Park headquarters is located in Crescent City, California, with a service office located in Arcata and an operations center located in Orick, California. Lack of money has precluded major improvements, however, and timber companies have replanted much of the logged area with non-native tree species. Coastline areas, including dunes and coastal prairie, have been invaded by exotic species, partly due to the suppression of forest fires until the 1980s. A fire management plan now allows controlled burning as one method to return the parkland to its original state. Since the redwoods were logged on the basis of accessibility, with inaccessible areas being cut last, large old-growth forest sections were isolated from one another, sometimes by many miles. In these cases it will be decades more before mature forest can return, regardless of the amount of money used to rehabilitate the ecosystem. The park has transformed a few logging roads into scenic public drives. These do not meet current safety standards, but funding to improve them is not available at present. Park structures such as visitor centers and employee housing also need updating to meet increasing demands. Park employees perform air and water quality surveys, monitor endangered and threatened species, and work closely with the California Coastal National Monument, which is managed by the U.S. Bureau of Land Management. In 2005, the parks were authorized to expand another 25,000 acres (100 km2) to include the Mill Creek watershed. The Redwood National and State Parks form one of the most significant protected areas of the Northern California coastal forests ecoregion. It is estimated that old-growth redwood forest once covered close to 2,000,000 acres (8,100 km2) of coastal northern California. 96% of all old-growth redwoods have been logged, and almost half (45%) of the redwoods remaining are found in Redwood National and State Parks. The parks protect 38,982 acres (157.75 km2) of old-growth forest almost equally divided between federal 19,640 acres (79.5 km2) and state 19,342 acres (78.27 km2) management. Redwoods have existed along the coast of northern California for at least 20 million years and are related to tree species that existed 160 million years ago. The native range of coast redwood is from the northern California coast north to the southern Oregon Coast. The tree is closely related to the giant sequoia of central California, and more distantly to the dawn redwood which is indigenous to the Sichuan–Hubei region of China. Coast redwoods are the tallest trees on Earth; as of September 2006, the tallest tree in the park was Hyperion at 379.1 feet (115.5 m), followed by Helios and Icarus which were 376.3 feet (114.7 m) and 371.2 feet (113.1 m) respectively. Before September 2006, the tallest living specimen known was the Stratosphere Giant, outside the park in Humboldt Redwoods State Park, which was 370 feet (110 m) in 2004. For many years, one specimen simply named Tall Tree in Prairie Creek Redwoods State Park and within the RNSP was measured at 367.8 feet (112.1 m), but the top 10 feet (3.0 m) of the tree was reported to have died in the 1990s. One tree that fell in 1991 was reported to be 372.04 feet (113.40 m). Only the giant sequoia has more mass. The largest redwood by volume is the 42,500 cubic foot (1,205 m³) Lost Monarch, located in Jedediah Smith Redwoods State Park. Mature Coast redwoods live an average of 500–700 years and a few are documented to be 2,000 years old, making them some of the longest-living organisms on earth. They are highly resistant to disease, due to a thick protective bark and high tannin content. Redwoods prefer sheltered slopes, slightly inland and near water sources such as rivers and streams. Redwood trees develop enormous limbs that accumulate deep organic soils and can support tree-sized trunks growing on them. This typically occurs above 150 feet (46 m). Scientists have recently discovered that plants which normally grow on the forest floor also grow in these soils, well above ground. The soil mats provide homes to invertebrates, mollusks, earthworms, and salamanders. During drought seasons, some treetops die back, but the trees do not die outright. Instead, redwoods have developed mechanisms to regrow new trunks from other limbs. These secondary trunks, called reiterations, also develop root systems in the accumulated soils at their bases. This helps transport water to the highest reaches of the trees. Coastal fog also provides up to one-third of their annual water needs. Another large tree commonly found in the forest is the coast Douglas-fir, which has been measured at heights of over 300 feet (91 m). Sitka spruce are plentiful along the coast and are better adapted to salty air than other species. The evergreen hardwood tanoak produces a nut similar to the acorns produced by the related genus Quercus (oak). Both tanoaks and oaks are members of the beech family. Trees such as the Pacific madrone, bigleaf maple, California laurel, and red alder are also widespread throughout the parks. Huckleberry, blackberry, and salmonberry are part of the forest understory and provide food for many animal species. The California rhododendron and azalea are flowering shrubs common in the park, especially in old-growth forest. Plants such as the sword fern are prolific, particularly near ample water sources. In Prairie Creek Redwoods State Park, Fern Canyon is a well-known ravine 30 to 50 feet (9.1 to 15.2 m) deep, with walls completely covered in ferns. 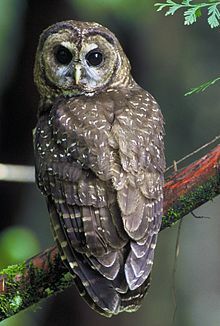 Northern spotted owl (Strix occidentalis caurina) is a threatened species known to exist in the parks. The ecosystems of RNSP preserve a number of rare animal species. Numerous ecosystems exist, with seacoast, river, prairie, and densely forested zones all within the park. The tidewater goby is a federally listed endangered species that live near the Pacific coastline. The bald eagle, which usually nests near a water source, is listed as a state of California endangered species. The Chinook salmon, northern spotted owl, and Steller's sea lion are a few of the other animal species that are threatened. Over 40 species of mammals have been documented, including the black bear, coyote, cougar, bobcat, beaver, river otter, black-tailed deer, and elk. Along the coastline, California sea lions, Steller sea lions and harbor seals live near the shore and on seastacks, rocky outcroppings forming small islands just off the coast. Dolphins and Pacific gray whales are occasionally seen offshore. Roosevelt elk are the most readily observed of the large mammals in the park. Successful herds, brought back from the verge of extinction in the region, are now common in park areas south of the Klamath River. Many smaller mammals live in the high forest canopy. Different species of bats, such as the big brown bat, and other smaller mammals including the red squirrel and northern flying squirrel spend most of their lives well above the forest floor. Brown pelicans and double-crested cormorants are mainly found on cliffs along the coast and on seastacks, while sandpipers and gulls inhabit the seacoast and inland areas. Inland, freshwater-dependent birds such as the common merganser, osprey, red-shouldered hawk, great blue heron, and Steller's jay are a few of the bird species that have been documented. At least 400 bird species have been documented in the forestlands. Reptiles and amphibians can also be found in the parks, with the northwestern ringneck snake, northern red-legged frog, Pacific giant salamander, and the rough-skinned newt most commonly seen. Currently, there are over 200 exotic species known to live in Redwood National and State Parks. Of these thirty have been identified as invasive species, ten of these are considered threats to local species and ecosystems. Exotic species currently account for about a quarter of the total flora in the parks. Only about one percent of plant growth in old-growth areas are of exotic species, while areas such as the Bald Hills prairies have a relative cover of fifty to seventy-five percent exotic. The type of foreign vegetation also varies, with plants such as the English Ivy (Hedera helix), Spotted Knapweed (Centaurea maculosa), and the Poison Hemlock (Conium maculatum). The spotted knapweed and poison hemlock are both under consideration for addition to a high priority watch list maintained by the park system. The northern coastal region of California, which includes RNSP and the adjacent offshore area, is the most seismically active in the U.S. Frequent minor earthquakes in the park and offshore under the Pacific Ocean have resulted in shifting river channels, landslides, and erosion of seaside cliffs. The North American, Pacific, and Gorda Plates are tectonic plates that all meet at the Mendocino Triple Junction, only 100 miles (160 km) southwest of the parks. During the 1990s, more than nine magnitude 6.0 earthquakes occurred along this fault zone resulting in 1 death and major financial loss, and there is always potential for a major earthquake. The park ensures that visitors are aware of the potential for a major earthquake through the use of pamphlets and information posted throughout the parks. The threat of a tsunami is of particular concern, and visitors to the seacoast are told to seek higher ground immediately after any significant earthquake. Both coastline and the Coast Ranges can be found within park boundaries. The majority of the rocks in the parks are part of the Franciscan Assemblage, uplifted from the ocean floor millions of years ago. These sedimentary rocks are primarily sandstone, siltstone, shale, and chert, with lesser amounts of metamorphic rocks such as greenstone. For the most part, these rocks are easily eroded, and can be viewed along the seacoast and where rivers and streams have cut small gorges. Formed during the Cretaceous Period, they are highly deformed from uplift and folding processes. In some areas, river systems have created fluvial deposits of sand, mud, and gravel, which are transported into the park from upstream. Redwood Creek follows the Grogan Fault; along the west bank of the creek, schist and other metamorphic rocks can be found, while sedimentary rocks of the Franciscan Assemblage are located on the east bank. Fog is persistent during the summer, as seen here, and the majority of fires are during the fall. The Redwood National and State Parks have an oceanic temperate rainforest climate, with cool-summer Mediterranean characteristics. Weather in RNSP is greatly influenced by the Pacific Ocean. Coastal temperatures generally range between 40 and 60 degrees Fahrenheit (4–15 °C) all year round, while further from the coast summers are hotter and drier, and winters are colder. Redwoods mostly grow a mile or two (1.5–3 km) from the coast, and never more than 50 miles (80 km) from it. In this temperate but humid coastal zone, the trees receive moisture from both heavy winter rains and persistent summer fog. The presence and consistency of the summer fog is actually more important to overall health of the trees than heavy precipitation. 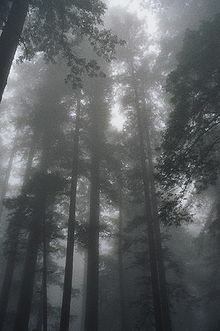 This fact is born out in annual precipitation totals, which range between 25 and 122 inches (64 and 310 cm) annually, with healthy redwood forests throughout the areas of less precipitation because excessive needs for water are mitigated by the ever-present summer fog and the cooler temperatures it ensures. Snow is uncommon even on peaks above 1,500 feet (460 m), further exemplifying the mild, temperate nature of this northern latitude; however, light snow mixed with rain is common during the winter months. Wildfires are a natural part of most terrestrial ecosystems. In many ways nature has adapted to fire, and the absence of fire can often be disadvantageous. Wildfire eliminates dead and decayed plant and tree matter, enriching the soil and ensuring that healthier trees have less competition for limited nutrients. Prescribed fire is currently part of the fire management plan and helps to eliminate exotic species of plants and allows a more fertile and natural ecosystem. Fire is also used to protect prairie grasslands and to keep out forest encroachment, ensuring sufficient rangeland for elk and deer. The oak forest regions also benefit from controlled burns, as Douglas fir would otherwise eventually take over and decrease biodiversity. The use of fire in old-growth redwood zones reduces dead and decaying material, and lessens the mortality of larger redwoods by eliminating competing vegetation. In the park, a fire management plan monitors all fires, weather patterns and the fuel load (dead and decaying plant material). This fuel load is removed from areas near structures and where fire poses high risk to the public, and controlled burns are used elsewhere. The National Interagency Fire Center provides additional firefighters and equipment in the event of a large fire. The DeMartin Redwood Youth Hostel, a low-amenities shared lodging facility (near Klamath), has now closed. There are no hotels or motels within the parks boundaries. However, nearby towns such as Klamath, Requa, and Orick provide small hotels and inns, with extensive lodging options available in the regional trading centers of Crescent City on the northern end of the park and Arcata and Eureka located to the south. 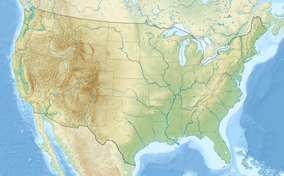 The park is about 260 miles (420 km) north of San Francisco, and 300 miles (480 km) south of Portland, Oregon; U.S. Route 101 passes through it from north to south. The Smith River National Recreation Area, part of the Six Rivers National Forest, is adjacent to the north end of RNSP. While the state parks have front country campsites that can be driven to, the federal sections of the park do not, and hiking is the only way to reach back country campsites. These are at Mill Creek campground in Del Norte Coast Redwoods State Park and Jedediah Smith campground in Jedediah Smith Redwoods State Park, which together have 251 campsites; the Elk Prairie campground in Prairie Creek Redwoods State Park which has 75; and the Gold Bluffs Beach campground which has 25 campsites. Other nearby state parks have additional front country camping. Back country camping is by permit only and is only allowed in designated sites, except on gravel bars along Redwood Creek. Access to the back country is highly regulated to prevent overuse while permitting as many groups as possible to explore the forest. Camping in the back country is therefore limited to five consecutive nights, and 15 nights in any one year. Proper food storage to minimize encounters with bears is strongly enforced, and hikers and backpackers are required to take out any trash they generate. Almost 200 miles (320 km) of hiking trails exist in the parks, but during the rainy season some temporary footbridges are removed, as they would be destroyed by high streams. Throughout the year, trails are often wet and hikers need to be well prepared for rainy weather and consult information centers for updates on trail conditions. Horseback riding and mountain biking are popular but are only allowed on certain trails. Kayaking is popular along the seacoast and in the various rivers and streams. Kayakers and canoeists frequently travel the Smith River, which is the longest undammed river remaining in California. Fishing for salmon and steelhead, a highly prized anadromous form of rainbow trout over 16 inches (41 cm), is best in the Smith and Klamath rivers. A California sport fishing license is required to fish any of the rivers and streams. Hunting is not permitted anywhere in the parks, but is allowed in nearby National Forests. The park has three visitor centers, where guided nature walks and general information are available, along with two additional information points. Each campground offers campfire talks during the summer months as well as guided tours. The parks have many picnic areas, which are all easily accessed by vehicle. ^ "NPS Annual Recreation Visits Report". National Park Service. Retrieved 2019-03-11. ^ Coy, Owen Cochran (1982). The Humboldt Bay Region 1850-1875. Humboldt County Historical Society. p. 51. ^ "Working Together". Redwood National and State Parks. National Park Service. Retrieved 2 April 2012. ^ a b "Threatened/Endangered Species". National Park Service. Retrieved 2008-11-07. ^ "U.S. World Heritage Sites". National Park Service. Archived from the original on 2008-10-13. Retrieved 2008-11-07. ^ "U.S. Biosphere Reserves" (PDF). National Park Service. Retrieved 22 May 2016. ^ "The Indians of the Redwoods". Redwood History Basic Data. National Park Service. January 15, 2004. Retrieved 2008-11-07. ^ Castillo, Edward (1998). 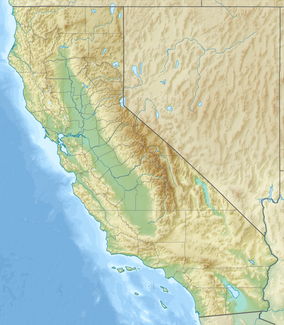 "Short Overview of California Indian History". California Native American Heritage Commission. Archived from the original on 2008-10-26. Retrieved 2008-11-07. ^ Nabokov, Peter; Robert Easton (October 25, 1990). Native American Architecture. U.S.: Oxford University Press. ISBN 978-0-19-506665-4. ^ "American Indians". Area History. National Park Service. February 5, 2008. Retrieved 2008-11-07. ^ "The Chilula". The Indians of the Redwoods. National Park Service. January 15, 2004. Retrieved 2008-11-07. ^ "Logging". Area History. National Park Service. Retrieved 2008-11-07. ^ Sheldon, William G. (1955). A History of the Boone and Crockett Club. Boone and Crockett Club. pp. 81–88. ^ a b Schrepfer, Susan R. (1983). The Fight to Save the Redwoods: A History of Environmental Reform, 1917-1978. Madison: The University of Wisconsin Press. pp. 130–185. ISBN 978-0-299-08850-7. ^ "Save the Redwoods Timeline". Save the Redwoods League. Retrieved 2008-11-07. ^ a b "Redwood National Park (includes Del Norte Coast Redwoods State Park, Jedediah Smith Redwoods State Park and Prairie Creek Redwoods State Park)" (PDF). Protected Areas and World Heritage. United Nations Environment Programme World Conservation Monitoring Centre. Archived from the original (PDF) on 2009-07-13. Retrieved 2009-08-14. ^ "California Coast Ranges". MAB Biosphere Reserves Directory. United Nations Educational, Scientific and Cultural Organization. Retrieved 2008-11-07. ^ "From the Giant Redwoods to the Sea". Humboldt County Film Commission. Archived from the original on 2008-09-07. Retrieved 2008-11-15. 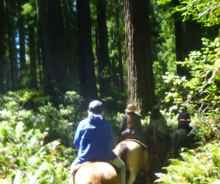 ^ "Strategic Plan for Redwood National and State Parks". National Park Service. Retrieved 2008-11-15. ^ "Fiscal Year 2004 Annual Performance Plan". Redwoods National Park. Retrieved 2008-11-15. ^ a b c "Frequently Asked Questions". National Park Service. August 17, 2008. Retrieved 2008-11-15. ^ "The Struggle For Redwood National Park". Redwood History Basic Data. National Park Service. January 15, 2004. Retrieved 2008-11-15. ^ "About The Trees". National Park Service. October 14, 2006. Retrieved 2008-11-15. ^ Glen, Martin (September 7, 2006). "Eureka! New tallest living thing discovered". San Francisco Chronicle. ^ Carle, Janet. "Tracking the Tallest Tree". California State Park Rangers Association. Archived from the original on 2008-05-19. Retrieved 2008-11-15. ^ "Comparison of Coast Redwood and Sierra Redwood". The Redwoods of Coast and Sierra. National Park Service. Retrieved 2008-11-15. ^ a b "Redwood National and State Parks Visitor Guide" (PDF). National Park Service. Archived from the original (PDF) on 2008-10-31. Retrieved 2008-11-15. ^ a b "Plants". Nature and Science. National Park Service. September 1, 2006. Retrieved 2008-11-15. ^ a b "Animals". National Park Service. April 17, 2008. Retrieved 2008-11-15. ^ Sakai, Howard. "Vertebrate Species that occur at Redwood National and State Parks". Species in Parks Flora and Fauna Databases. Information Center for the Environment/National Park Service. Archived from the original on 2005-09-20. Retrieved 2008-11-15. ^ "Resource Management and Science - exotic plant management - Redwood National and State Parks (U.S. National Park Service)". Nps.gov. Retrieved 2018-09-20. ^ "exotic plant species list - Redwood National and State Parks (U.S. National Park Service)". www.nps.gov. ^ a b "Geology". Natural Resources. National Park Service. Retrieved 2008-11-15. ^ Oppenheimer, David (December 17, 2007). "Mendocino Triple Junction Offshore Northern California". A Policy for Rapid Mobilization of USGS OBS (RMOBS). U.S. Geological Survey. Retrieved 2008-11-15. ^ "CA Klamath". National Oceanic and Atmospheric Administration. Retrieved June 27, 2013. ^ "Klamath, California". Western Regional Climate Center. Retrieved June 27, 2013. ^ "Weather". National Park Service. September 1, 2006. Retrieved 2008-11-15. ^ "Park Geology". Geology Fieldnotes. National Park Service. January 1, 2005. Retrieved 2008-11-15. ^ "Prescribed Fire". Environmental Factors. National Park Service. September 30, 2008. Retrieved 2008-11-15. ^ "Fire Management Plan Environmental Assessment" (PDF). Rewood National and State Parks. May 2005. Retrieved 2008-11-15. ^ a b "Campgrounds". National Park Service. April 24, 2008. Retrieved 2008-11-15. ^ a b "Backcountry". National Park Service. September 1, 2006. Retrieved 2008-11-15. ^ "California Sport Fishing Regulations for Smith River" (PDF). National Park Service. May 2008. Retrieved 2009-08-14. ^ "Operating Hours & Seasons". National Park Service. Retrieved 2008-11-16. National Park Service. "Redwood National and State Parks". Retrieved in 2006. Redwood National and State Parks. "Visitor Guide" (PDF). Retrieved in 2006. Redwood: A Guide to Redwood National and State Parks, California. Interior Dept., National Park Service, Division of Publications. 1997. ISBN 978-0-912627-61-8. Chronology: Establishment of the Redwood National Park by Willard E. Pratt. Forest History Society website. Inventory of the Redwood National Park Collection, 1926-1980 at the Forest History Society archives.